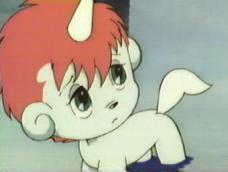 First time ever watching Unico happened when I was 5 or 6. 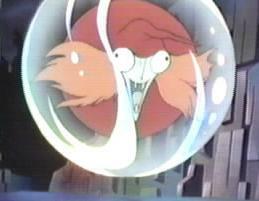 Disney was free at the time so every kid who had a television set and cable probably saw this on Disney. I had remembered only slight parts. One confusion was that there was only one movie. My only remembrance was some round guy (Kuruku) turning some girl (at the time I thought it was Katy) into a doll thing. 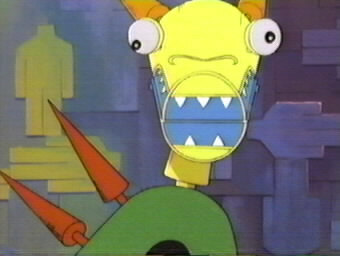 The animation style was that like I had never seen before! The very slight vision I had at the time sent me spiraling towards Anime or Japanese Animation, so from that day fourth the big thing in my life was to find more on Anime and everything about it. I was hooked from the start. 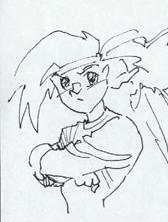 Around sometime in '94 I picked up an issue of AnimeEX from a local comic store. Amazingly it had a filmography of Osamu Tezuka telling every movie live and animated that he had ever made in his lifetime. I then knew the title that had started my obsession was called "Unico", and that there were 3 parts to the series. Around the same time I had been drawing a set series of comics with my friends entitled "Mappy" (derived off of our original idea "Crappy Comics", but since our comics weren't Crappy, we had to find another title). The main character, me, had a unique hairstyle that I just seemed to like. That was Toby's hair stuck in my mind after all these years. Not until my 8th Grade middle school year did I find anyone with the video. The internet was limited to few Websites at all, and only newsgroups and BBSs, which provided no help whatsoever. Jon Alvaro's brother came to me asking to trade Anime, telling me his brother had Every Anime. Just a shot in the dark I asked about Unico and Amazingly he had it! 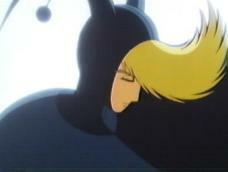 In a tape full of old Disney cartoons, he had managed to record Unico. I was glad to trade and it felt great to finally find out what Unico I had missed after all these years, but something was missing...where was the round guy and someone turning into a doll?. 10th Grade rolling around, I had found other fans on the internet, none who had the movie, but still great people to communicate with. A friend of mine got a copy from Blockbuster video and made me a perfect copy. I would have bought the original, but it disappeared. Then there was a girl in my class who really liked Unico so much I made her a copy of the 1st movie in exchange for a casette of music I liked. Then it happened. Out of nowhere in the middle of my Geometry class a friend of mine, Laura Karnuth exclaims "I'll turn you all into living puppets!". I was flabbergasted, to say the least! All this time knowing her as a friend and she's had Unico In The Island Of Magic this whole time! I got her copy the next day and cried my eyes out. Years of watching Anime wondering, when did it all begin/Why do I find this so interesting/Who is the round guy and the girl changing into a doll?! All these were answered by watching this film. Everything came to me as I watched every moment of this film. Memories upon memories flooding through, not to mention the realization that my comic character had largely been influenced by Toby. To make everything totally complete, I bought an official Original copy from Ebay/MovieMonstr for $25. During Anime Weekend Atlanta 5, my friend Renee gave me Unico 2 Japanese dialogue and took me to her source to buy the original of Unico 1. A few years down the road, the site was moved to dreamwater.org. The site was able to be hosted free without banners or ads. Around this time I managed to find a place selling the Pilot Unico movie "Black Cloud White Feather" in its raw Japanese form. Excited as I was to get this rare gem, it was very short and the animated was very dated. I copied it for myself but sold the original. The site remained untouched for almost two years when I found out that the free site deleted it based on nothing being updated. I moved what I had saved to my personal site "Fujikoma" where it remains now. Unfortunately 2 years of updates and changes went with the dreamwater site. I had added scans from an artbook I bought and information on a possible 4th movie "Save The Glass Earth" that is being shown exclusively at Tezuka Museum on Japan.